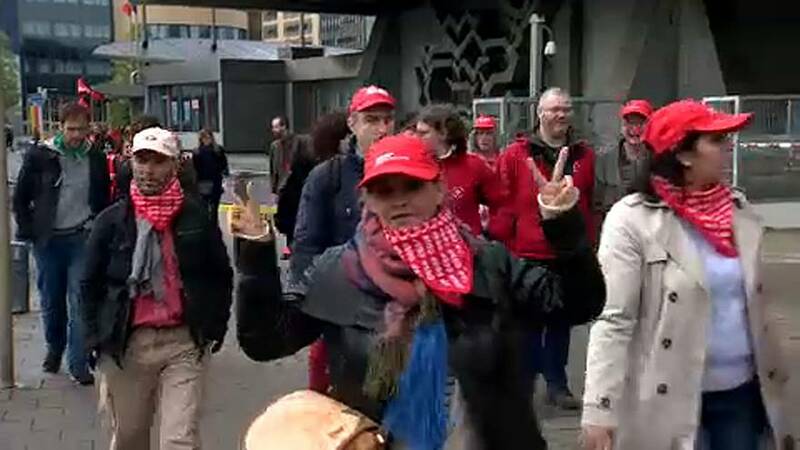 Public sector workers in the French-speaking region of Belgium have gone on a 24-hour strike. They are protesting about the federal government’s policies. The CGSP union says it is a warning to the government. “The current government, which has a majority on the right, thinks public services are not important. They are under-funded and so we have to defend not only our jobs but also the services we can provide for the people,” said one protestor. “Pensions will be calculated differently, they will be revised downwards so most workers will lose out,” said another. Public transport, schools, postal and health services have been disrupted by the action. There are warnings of more if the government goes ahead with its plans.